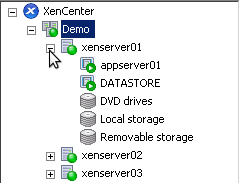 The first time that XenCenter is started it will need to be connected to either a XenServer or a XenServer pool. This connection will be stored in the users profile. 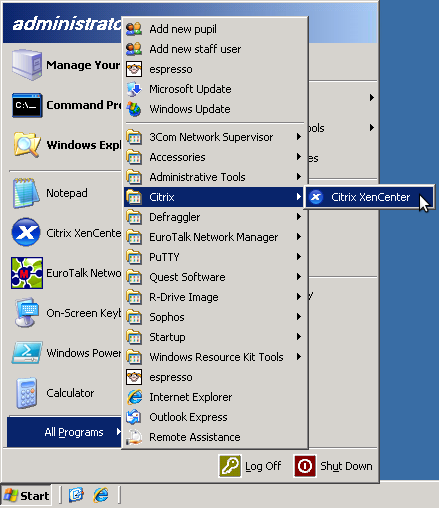 Start XenCenter by choosing it from the start menu. 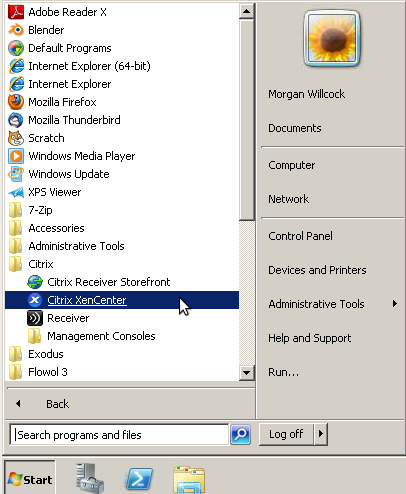 Click the add new server button on the toolbar. 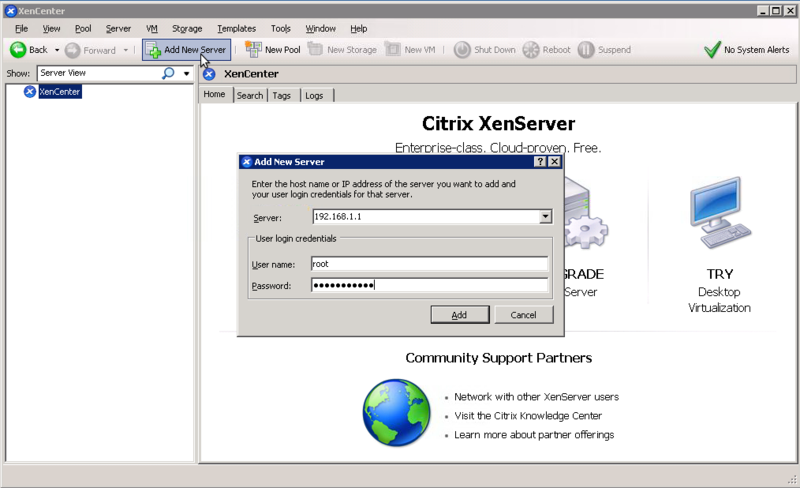 This will bring up a dialogue box that will let you enter the IP address, username, and password to connect to a XenServer. The username should always be root. If the server you have connected to is a pool member then you will also be authenticated to see other servers in the pool.